Cristiana Elena Iannelli was born in Italy in 1985. She studied in Rome obtaining an Honor’s MA in History of Art with an experimental thesis on Modern Art, d’Errico collection based in Matera (Italy), which she is still studying. 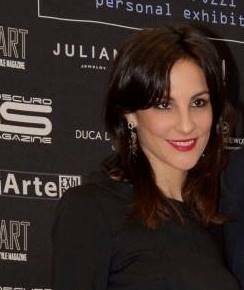 She deals with Modern and Contemporary Art, working especially with emerging and established artists as an Art Exhibitions and Events Curator, in Italy before and currently in London. Currently she is working as a Curator in an Art Gallery based in East London. She thinks that the art critic’s role is especially important today, when astute, perceptive evaluation is needed to evaluate upcoming artists, and find the best talent, amid an increasingly crowded creative landscape. She loves reading and writing about art and she is currently collaborating with the following Italian Art Magazines: Biancoscuro Arte Cultura e Informazione, Expoart Cultural and Lifestyle Magazine and Sineresi. She is also working freelance as an Art Exhibitions Curator, and following some artists’ progress on various projects.